Five international partnerships have recently been awarded funding through ESAâ€™s TIGER Innovators project to develop new ways of applying Earth Observation data as a tool for water resource management in Africa. ESA launched the TIGER Initiative in 2002 following the World Summit on Sustainable Development in Johannesburg. 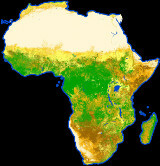 Focusing on the use of space technology in water resource management in Africa, the primary objective of TIGER is to help African countries overcome problems faced in the collection, analysis and dissemination of water related geo-information by exploiting the advantages of Earth Observation technology. More than 200 African water basin authorities, universities and other organisations have become involved in TIGER projects across the continent. Existing activities have now been bolstered by a new type of project called TIGER Innovators. These are aimed at developing innovative, low-cost solutions to support African water authorities in the conservation and monitoring of scarce water resources. Utilising the latest Earth Observation technology and Geographical Information Systems these North-South partnerships involving European/Canadian and African organisations are intended to tackle a range of different water-related issues across the African continent. The five TIGER Innovators projects have been funded by the Data User Element (DUE) of the Earth Observation Envelope Programme of ESA (EOEP-2 DUE) with an overall budget of 500 000 Euro. SHARE (Soil Moisture for Hydrometeorological Applications in the SADC Region) will provide an effective soil moisture monitoring service for the entire Southern African Development Community (SADC). The project team combines expertise in soil moisture remote sensing from Vienna University of Technology with specialists in hydro-meteorological applications from University of KwaZulu-Natal in Durban, South Africa. Despite holding only a small percentage of the total global water budget, soil moisture plays an important role in the global water cycle. Data obtained from ESAâ€™s ERS-2 Scatterometer and Envisat's ASAR sensors will form the basis of a new soil moisture information system. The ERS-2 Scatterometer uses three antennas to illuminate the Earth's surface in three different directions and derive low-resolution active microwave data. The incidence angle of each signal bounced back to the instrument is dependent upon the relative moisture content of the soil and the vegetation, the vegetation type and surface roughness. An increase in angle signifies an increase in soil moisture content, surface roughness, and vegetation biomass. Whereas the Scatterometer provides coarse-resolution data, ASAR can achieve a higher resolution, thereby enhancing the overall accuracy of the data. The improved resolution of the system will provide the team with quick and detailed information, accurate to within 1 km. "With this service, SHARE will address todayâ€™s most severe obstacle in water resource management which is the lack of availability of reliable soil moisture information on a dynamic basis at a frequency of a week and less," said Dr. Klaus Scipal of Vienna University of Technology. A major benefit of the project will be the availability of soil moisture data for use and distribution amongst water authorities in the region. "The long-term vision of SHARE is to supply soil moisture information for the entire African continent, run by African partners, posted on the web, freely accessible to all," Dr. Scipal said. The primary users of these products will be the South African Weather Service and the South African Agricultural Research Council. This project is aimed at developing a basic information system for monitoring the Zambezi river catchment area. Geographic Information Management in Belgium will be working together with the University of Zambia, the Zambian water authorities and workers at the SADC Regional Remote Sensing Unit to alleviate water shortage problems in this area of Zambia. 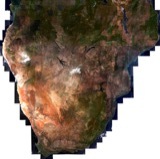 Using data from ESAâ€™s multispectral MERIS sensor on Envisat as well as Landsat imagery, IWAREMA (Integrated Water Resource management for Zambia) Zambia will provide local researchers and politicians with the necessary tools for effective water resource management. Satellite imagery will be used to generate a variety of maps depicting existing water resources, suitable dam locations and land cover as well as forming the basis of information bulletins for local policy-makers. The local team consists of workers from the Ministry of Energy and Water Development through the Department of Water Affairs, the University of Zambia and specific departments of other responsible Ministries. This project is aimed at designing, developing and implementing a system for monitoring the water quality of Lake Manzalah in Egypt. Leading the project will be members of the engineering company C-CORE, based in Canada, in collaboration with Egyptian water authorities and consultants from the Finnish Environment Institute and Canada. An essential source of freshwater in the region, the demand on Lake Manzalah has been strained over recent years owing to increased competition from domestic, industrial and agricultural users. Accurate and reliable data on the condition of the lake will be extracted using satellite imagery to monitor key indicators of water quality such as turbidity, algal blooms and the presence of invasive plant species. "Responding to urgent user requirements, the Earth Observation-based water quality products will represent an up-scaling in space and time of the conventional field measurements and will capture the spatiotemporal variability of critical lake water parameters more accurately then the current monitoring programme," reports Mr. Puestow, of C-CORE. As well as determining how and where the pollution occurred, this data will be utilised by Egyptian water authorities in their efforts to prevent further pollution of this valuable resource. WADE (Water resources Assessment using SAR in Desert and arid lands in West African Ecosystems) will map sub-surface, man-made water structures and surface water as a means of combating the effects of desertification. In collaboration with a consortium of desertification experts known as AGRHYMET, workers at Advanced Computer Systems (ACS spa) in Rome will use Synthetic Aperture Radar (SAR) imagery to explore underground and superficial water resources. The advantage of using SAR technology over other tools is that it is both relatively cheap and is capable of covering a wide surface area. "The availability of an advanced technological tool for water resources detection and mapping can represent a significant improvement for sustainable water management," said Gaetano Pace, Project Manager at ACS Spa. The team will be working closely with AGRHYMET to map buried water-related artefacts such as wells, foggaras (a type of ancient irrigation system) and channels in a selected area. Both the technology and the necessary skills will ultimately be transferred to local authorities. Potentially covering an area of hundreds of square kilometres, this new technology will enable local workers to pinpoint human-made water features to within 20-30 metres. This information will help local water authorities and institutions to draw up effective plans to conserve resources in the region and understand seasonal natural water dynamics. Bordering the countries of Uganda, Kenya and Tanzania, Lake Victoria is the largest source of fresh water in Africa. The economic value of the Lake is well established, as is the sensitive nature of its environmental condition. For these reasons, all three countries are committed to monitoring the threats and gaining an accurate inventory of the contents of this vast and essential resource. In collaboration with Nairobiâ€™s Regional Centre for Mapping of Resources for Development, workers at Vexcel in The Netherlands will use data derived from Earth Observation satellites to form an information system that monitors both the quality and quantity of water. "Goals are to develop dedicated products and services and to build capacity at the three institutes to ensure that expertise is made available to implement these data structurally," reports LÃ©on Schouten, Project Manager at Vexcel. Beneficiaries of the scheme will include the Fisheries Resources Research Institute in Uganda, Kenya Marine and Fisheries Research Institute and the Tanzania Fisheries Research Institute. Lake Victoria Fisheries Organization and other water management authorities will also receive valuable information and training through this project.